In order to complement the kind of STEM learning that your children are engaging in at childcare each week, you can acquire a few common supplies and conduct some experiments at home with your preschooler or toddler that will teach them some fascinating basics about science, technology, engineering, and math. These activities are sure to be both fun and educational. Snip each pipe cleaner into short pieces and drop them into your container. Take your craft stick and carefully glue your magnet to the end of it, being sure to affix it so that it cannot come off. Give your child the craft stick and ask him to move it along the side of the container. The pieces of pipe cleaner will magically move along the side of the container as your child moves the magnet! Explain to your child that magnets attract metal, and the metal wires inside the pipe cleaners are attracted to the magnetic pull. In a separate container, mix some food coloring with water. Then, fill your clear jar with water, and spray a rain cloud of shaving cream atop the jar. Ask your child to pull the food coloring into her pipette, and then drop the food coloring on top of the rain cloud. At first, nothing will happen. But as she drops more and more food coloring on top of the cloud, she’ll see that the colored “rain” will begin to fall into the water below! You can explain that when clods fill with enough water vapor, that water is then pulled to the ground by gravity as the cloud becomes heavier, and that is how rain occurs! Tape your tube to the wall at a diagonal, and ask your child to help you to sort the toys from lightest to heaviest. Then you can ask him to drop the lightest toy into the chute while you time the number of seconds it takes from the beginning of the drop to the moment the toy hits the floor. Your child will notice that the heavier toys, which likely contain more mass, fall more rapidly than the lighter toys. You can explain to him that heavier objects tend to fall more quickly than lighter ones. 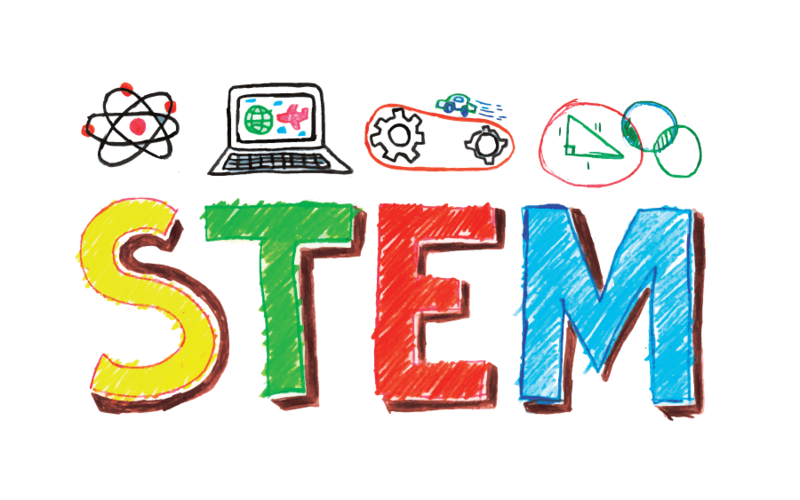 Do you have any STEM activities that your children enjoy at home! Please share them with us in the comments section!